Michelin has opened its newest plant in North America, which will produce the innovative Michelin X Tweel Airless Radial Tire for commercial applications. tire that changed the configuration of a conventional tire, bringing together the tire and the wheel assembly into one solid unit. The Tweel comprises a rigid hub connected to a shear beam by means of flexible, deformable polyurethane spokes, all functioning as a single unit. "The Tweel being built here in South Carolina is yet another dramatic example of Michelin's long-standing commitment to breakthrough innovation," said Pete Selleck, Michelin North America Chairman and President. "The Tweel concept was born at Michelin Americas Research Company in Greenville, S.C., one of Michelin's three global technology centers, and now the Tweel will be manufactured right here in the Greenville area to satisfy a growing commercial market." The new plant gives Michelin the ability to boost output of its award-winning Michelin X Tweel SSL skid-steer tires and begin production of the new Michelin X Tweel Turf as original equipment for John Deere to equip its ZTRAK 900 Series line-up of zero-turn commercial mowers. 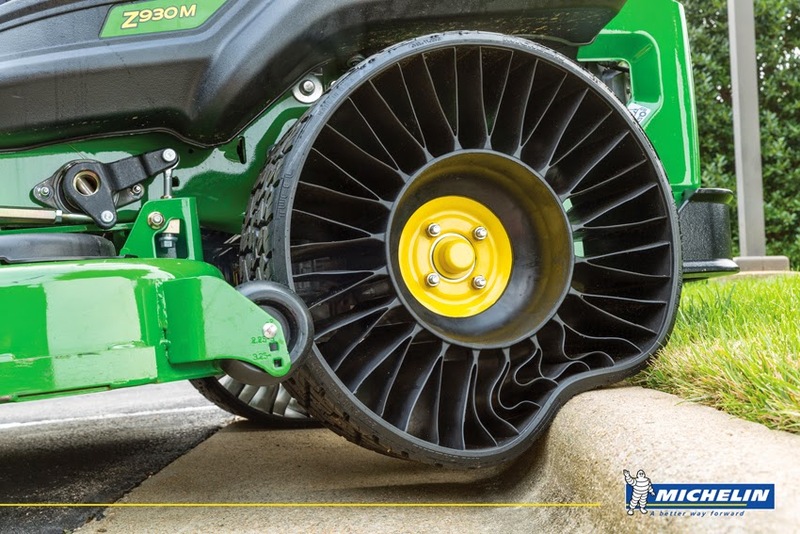 Differentiating us from competitors, the Tweel airless radial tire is the industry’s first commercialized airless radial solution and verifies Michelin's leadership for the next generation of mobility," said Ralph Dimenna, Head of Michelin Tweel Technologies. "The Tweel airless radial tire enables Michelin to enter new markets and expand its reach in existing business segments within the low-speed application category. The industry is hungry for solutions contributing to productivity, safety and bottom lines. Serving our customers is at the center of our strategy for success." The new 135,000 sq ft facility in Piedmont, S.C., represents Michelin's 10th manufacturing facility in South Carolina and the 16th in the US. The company will invest about US$ 50-million in the new plant.